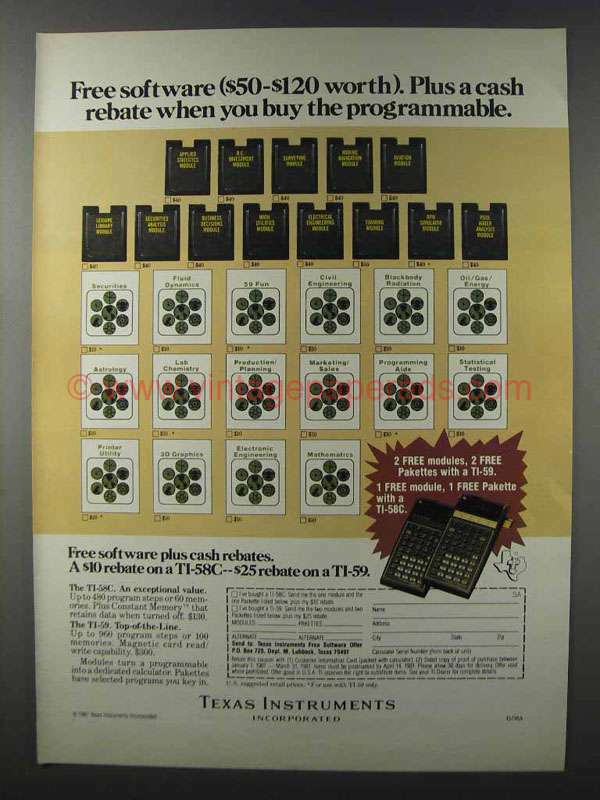 This is a 1981 ad for a Texas Instruments TI-58C, TI-59 and Software! The size of the ad is approximately 8.5x11inches. The caption for this ad is 'Free software ($50-$120 worth). Plus a cash rebate when you buy the programmable' The ad is in great condition. This vintage ad would look great framed and displayed! Add it to your collecction today!